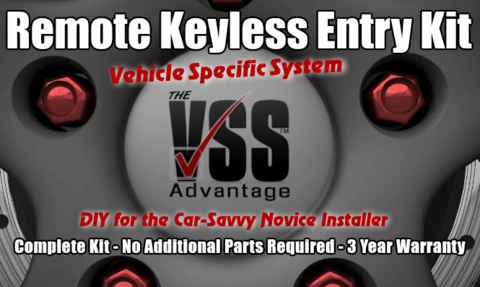 Delivered at your door complete with all the parts and information you'll need to provide all the features and functions of the 45RKE-VSS on your specific vehicle as described below, guaranteed! Easily locate, identify and confirm the wiring in your vehicle using the kits vehicle specific step-by-step installation guide and LED style test probe. A remote keyless entry system that controls most factory installed features. With auto lock/unlock with ignition, parking lights flash, power trunk activation and illuminated entry, with upgrade capability, the 45RKE-VSS can provide the remote control convenience your looking for. With separate Lock, Unlock, Trunk/Hatch & Option Buttons that can be activated from up to 500 Ft. away. The 45RKE-VSS has a dedicated remote controlled output where you can activate your vehicle's factory power trunk or hatch release (vehicle must be equipped with OEM power trunk or hatch release button). This feature will turn on your vehicle's interior lights for 30 seconds whenever you use the remote to unlock the vehicle's doors (or they will turn off sooner if the ignition is turned on before the 30 seconds has lapsed). It also provides a flashing output that duplicates the parking light output flash rate whenever the "Panic Mode" is engaged. The 45RKE-VSS system can be pre-set for you to automatically lock the vehicle's doors as soon as you turn the ignition on. It can do the same with unlocking the doors when you turn the ignition off. Choices provided during checkout. The system sends a quick pulse to your vehicles horn circuit for audio confirmation when you use the remotes to lock or unlock the vehicles doors. As you approach the vehicle, if you press and hold the unlock button for two seconds the vehicle's horn will not sound and the doors will unlock and the parking lights will flash confirming that your vehicle's doors have been unlocked. Same feature applies when remote locking also. You can selectively eliminate the normal lock and unlock chirps by holding the transmitter button slightly longer when locking and unlocking (Silent Choice), but if you find this inconvenient and wish to eliminate these chirps permanently you can easily turn them OFF (and back on) at any time (procedure supplied in owners manual). Visual confirmation whenever the remotes are used, the system will flash your vehicles parking lights 1X when locked and 2X when unlocked. The lock or unlock button of the remote also serves as a panic button and will cause the vehicle's horn to sound on demand. To use the panic feature, in an emergency situation, press and hold the lock or unlock button of the remote for over 3 seconds. This will cause the parking lights to flash, the vehicle's horn to sound and the interior lights to flash. The panic mode will continue for 30 seconds then automatically turn off. To stop the panic feature before the 30 seconds are up, you press and hold either the lock or unlock button of the remote for over 3 seconds (or press the option button momentarily) and the panic mode will immediately shut off sooner. Used for system status and as a theft deterrent, the included LED can be installed into an area on the vehicles dash (drilling 1/4" hole required) so it can be viewed through the drivers side window. After the vehicles doors are locked with one of the systems remotes, the LED will steadily flash every second. The flashing LED can act as a anti-theft device by presuming that the vehicle is equipped with some type of alarm system as with what most flashing LED's in vehicles indicate. The system can be programmed to work with one or two additional remotes for a total of up to 4 remotes at the same time (additional remotes sold separately. 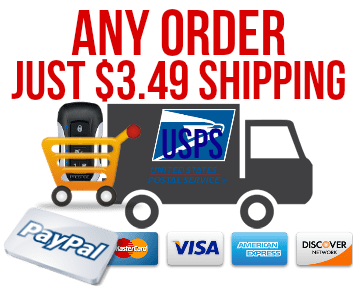 Discounted remotes w/system purchase offered during checkout). 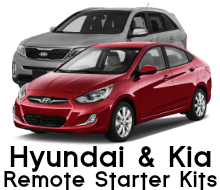 The system's "OPTION" button can be used and upgraded (upgrades sold separately) to later add a window roll-up module or remote start system (Our 901A-VSS Add-On Remote Starter Kit). Included for vehicles not equipped with factory installed anti-theft systems (transponder keys, Passlock etc.) the system will include a starter-kill relay harness that can be installed in-series with the vehicle's starter wire to prevent the vehicle from being started, even with one of the vehicle's keys, after the vehicle is locked with one of the system's remotes. 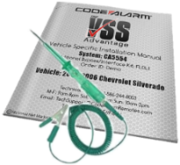 Includes a clear and concise (written in the USA) step-by-step installation manual that indicates exactly what wire from the system connects to what wire in the vehicle, where the wire is locted in the vehicle and how to confirm that you found the correct wire using the kits supplied LED style test probe. No need for cumbersome multimeter's that indicate voltage level's that can confuse polarity readings and require the use of two probes and a bare spot on the wire in order to take a reading. Each of our VSS kits include's an easy to use LED style test probe to use with the step-by-step vehicle specific installation manual. This test probe simplifies the procedure of testing for the correct wire in your vehicle by lighting a green or red LED to indicate the target wire's polarity (explained in each step of the vehicle specific install manual). Any needed extra relays w/relay harness (Power trunk, 3rd Accessory etc. ), diodes, resistors, voltage inverters, etc. 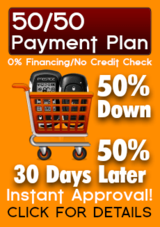 needed for your specific vehicle, with the additional installation information, will also be included. Each VSS system includes 3 different size's of quick-connect "T-tap" connectors with male spade connectors for making connections from the system to the vehicle's wiring. Crimp caps for connecting wires end-to-end. Self-tapping screws and ground loop connectors for making chassis ground connections. Nylon zip ties for securing wiring, control module and sensor placement. You will be asked to indicate the year, make and model of vehicle the system will be installed into during ordering. If in the rare event that one of our technicians finds that the system is not compatible to your specific vehicle, we will immediately void the order and promptly cancel your payment. Have access to some of the most qualified installers in the industry 7 days a week. Each member of our technical support staff has a minimum of 10 years of hands-on experience installing alarms, keyless entry and remote car starter systems. And with one of the largest support networks in the industry, our technicians can be directly contacted via phone, email, through our massage board, support forum and even by txt. With our wide-range of communication options, if you ever have a problem or question you can feel confident that you can easily contact someone in our technical support department. Repair or replace any part of the system that's found to fail from manufacturer quality under normal every day use for a period of 3 years from date-of-delivery (1 Year on Remotes).